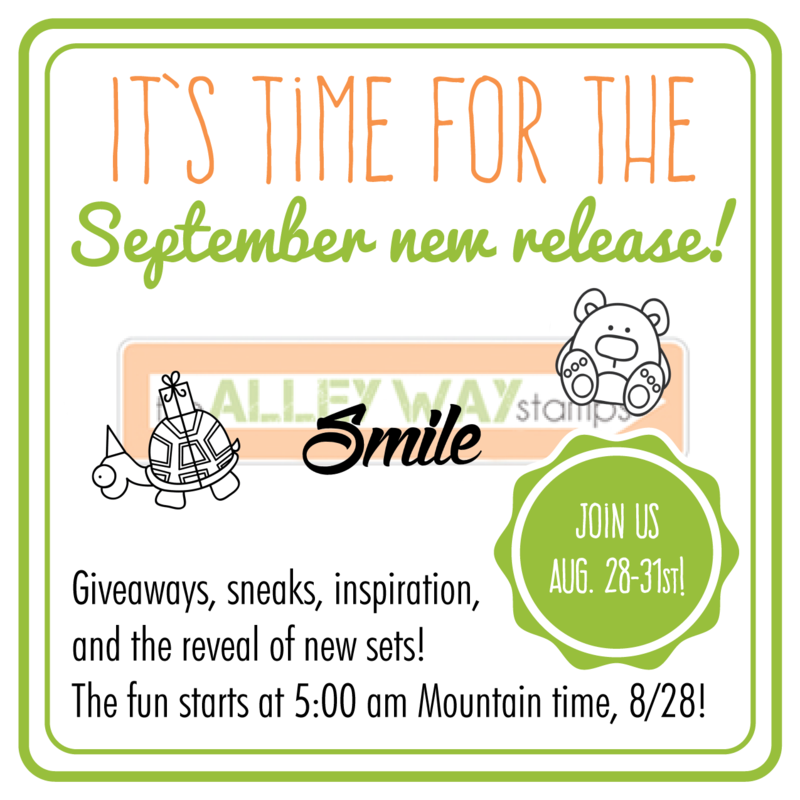 Today is our last day of sneaks before tomorrow's BLOG HOP! What does that mean? It means you can win today AND tomorrow! Woo hoo!!!! Click on the Rafflecopter widget below to enter to win this set - Flap Happy !!! ! You have until 7 pm TAWS time tonight to get your entries in! For our friends that do not have Social Media accounts, you can also just comment below. We will randomly pick commenters for our giveaways, too! This contest will run TODAY only (8/30/15), but we will have another HUGE giveaway tomorrow! Chrissie here with a sneak of this set! How much fun, right?!?!? I can never get tired of these birds; they crack me up! Hi there, it's Yuki! 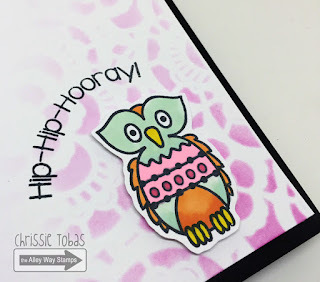 How cute is the new Flap Happy set? I just love these little birds. They're so fun to color and you could really mix and match them to make so many cute scenes. 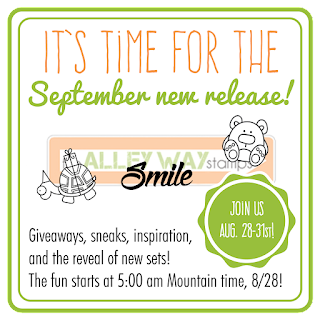 Welcome to Day 2 of our Sneak Peeks for September! Click on the Rafflecopter widget below to enter to win this set - BIG Time !!! ! You have until 7 pm TAWS time tonight to get your entries in! For our friends that do not have Social Media accounts, you can also just comment below. We will randomly pick commenters for our giveaways, too! This contest will run TODAY only (8/29/15), but we will have another giveaway tomorrow! It's Holly here with a Sneak at the new set Big Time... This is a must have Sentiment set. I love how Bold the words are. I created a great CAS card with a stencil and some Distress Inks. Lexa here with a sneak peek trough the new stamp set called BIG Time! I bet you will love the bold words all along with other sentiments to complete them. 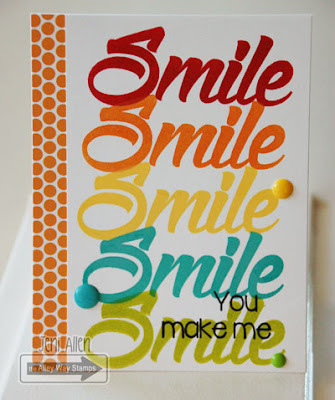 I use an ombre ink pad for the Smile word, it looks lovely! Hello, Emily here with a September Sneak Peek. Today I'm featuring a set called BIG Time. I combined the big bold word with Flower Show. Hi all! Angel here with this AWESOME new set called Big Time! So many perfect sentiments!!! Add this to your MUST HAVE list!! Hi, everyone! 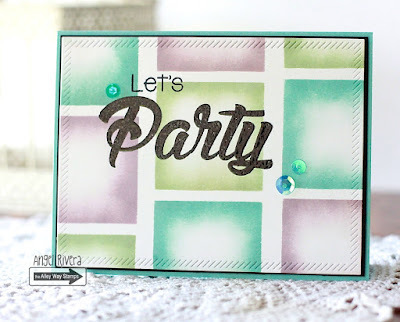 Heather P. here with my take on the new BIG Time set... I echo the sentiments of everyone above me, this set is definitely a must have! 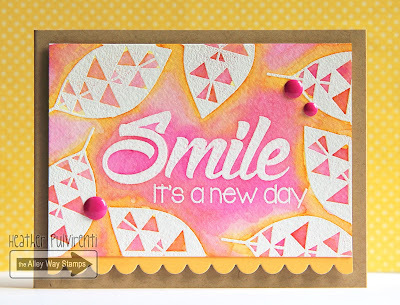 :) Such a fun, bold font that pairs well with so many other TAWS sets (shown here with Tickle Me Happy). . It's that time again! 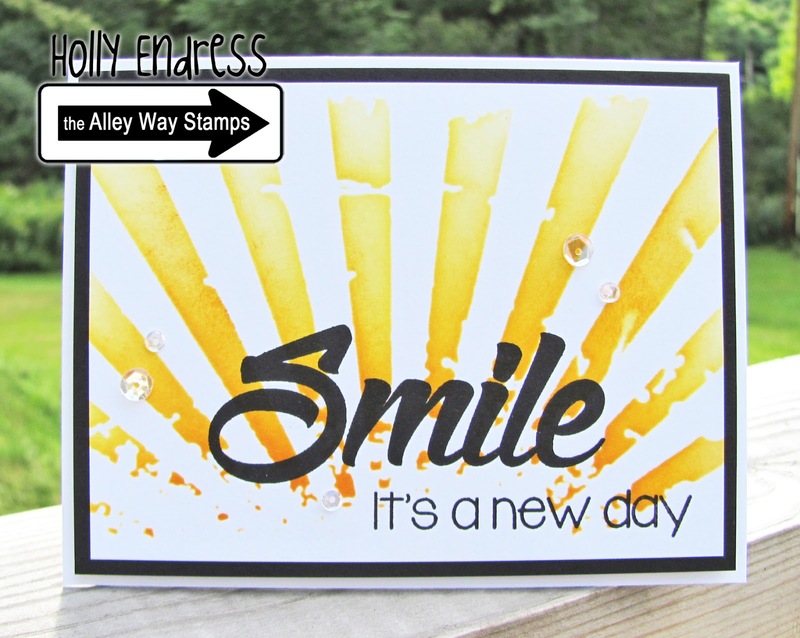 Who wants to win some stamps???!!!! Let's celebrate the September Release!!!! 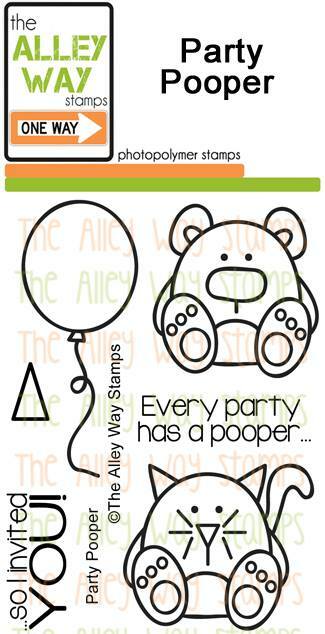 Click on the Rafflecopter widget below to enter to win this set - It's My Party!!! ! You have until 7 pm TAWS time tonight to get your entries in! For our friends that do not have Social Media accounts, you can also just comment below. We will randomly pick commenters for our giveaways, too! This contest will run TODAY only (8/28/15), but we will have another giveaway tomorrow! Hi Friends! 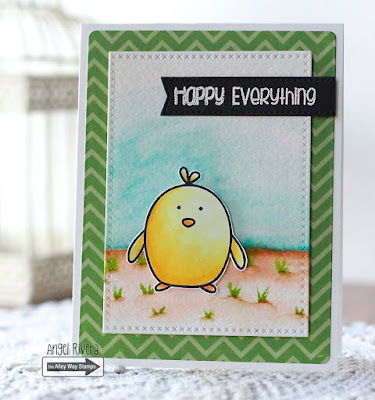 Meredith here with my sneak peek of one of this month's adorable new release sets! This one is called It's My Party! 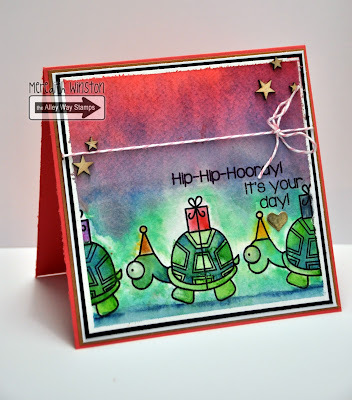 I've created a multi-color watercolored background to make the adorable party line of turtles really pop! I also watercolred the turtles. I used my Kurtake watercolors for this project. I added my sentiment using Hero Arts black dye ink. It's so hard to catch in photos but I used a good coating of Glossy Accents for the eyes on the turtles. It really adds a fun touch of dimension when you see it in person. I used some pink and white bakers twine and some wood veneer stars as added texture embellishments. Hi everyone! Marina here! I'm really excited to share this card with you. I've been waiting to use this set and I hope I can show you while. Like Meredith, I've also chose to use that adorable turtle with the gift. Celebration always screams colours for me so I wanted to have a "trail" of rainbow from the turtle. To add some dimension, I've cut a white border just at the front part of the turtle. Hi everyone!! 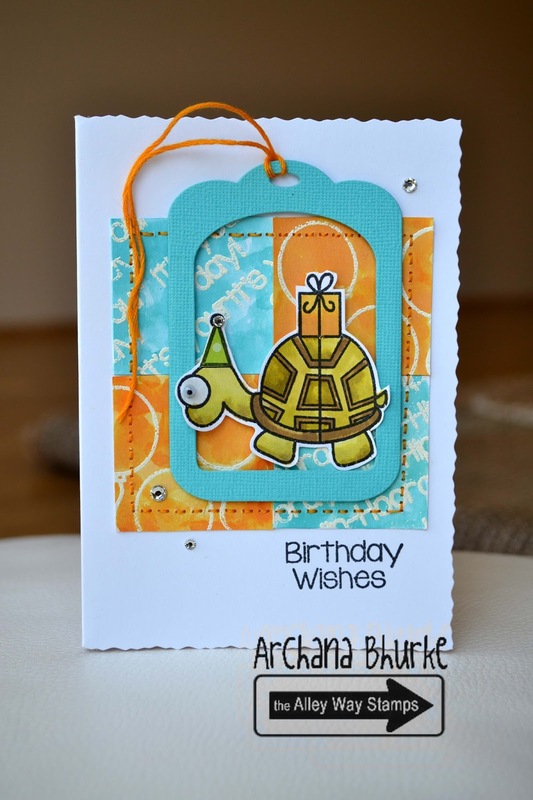 Archana here.I´m featuring here too "Its my Party"set. I loved this turtle with the gift.I colored it using distress inks. For the background I did some patchwork. 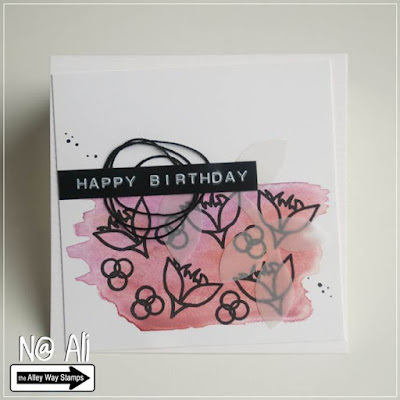 I stamped and heat embossed few sentiments from the same set and balloon image and colored it with distress inks. For interest I added some stitching and rhinestones. Hi guys! It's Julia W back with another video to share. Today I created a moody card using stamps from Trees Company. You can watch the video below, or on YouTube. Enjoy! 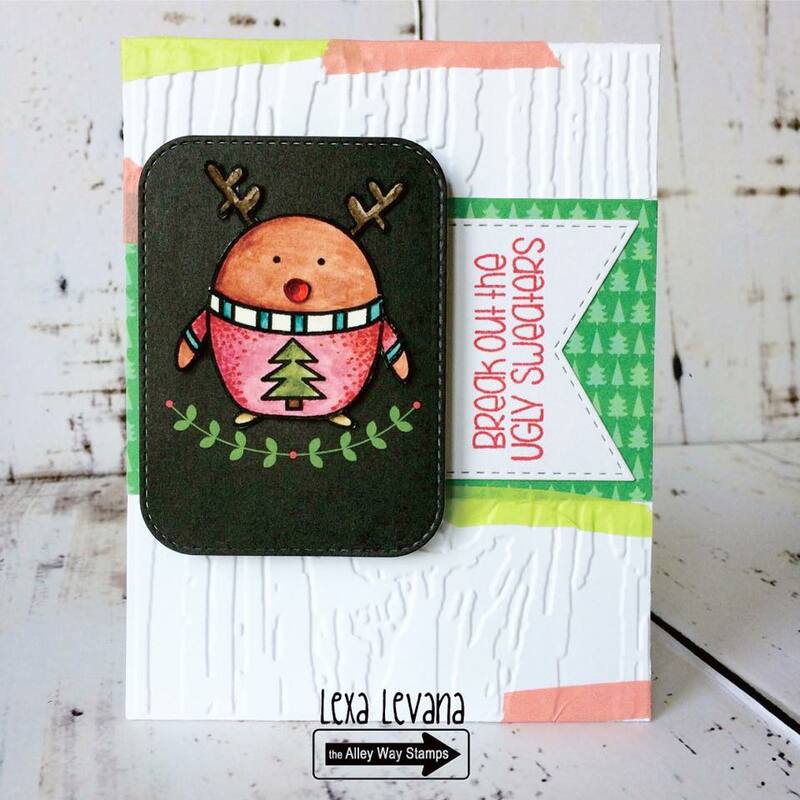 Dana here with a Christmas card featuring Penguins on Parade! I dressed my penguin up as Rudolph! Hi it's N@ Ali. 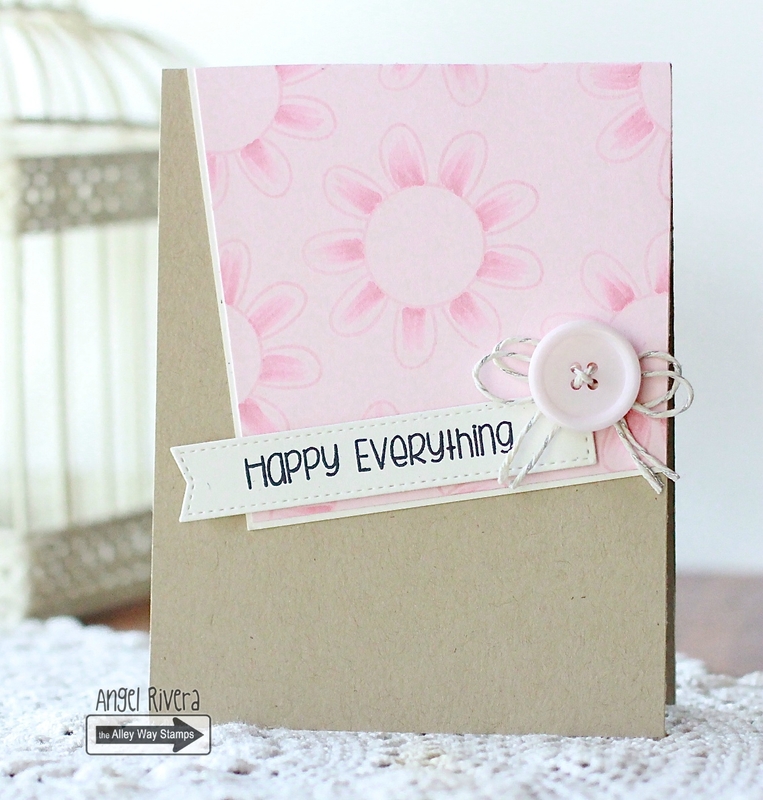 I have a (nearly) one layer card for you today using Happy Hero, Everyday's a Holiday & Cake Day. Hey there friends! 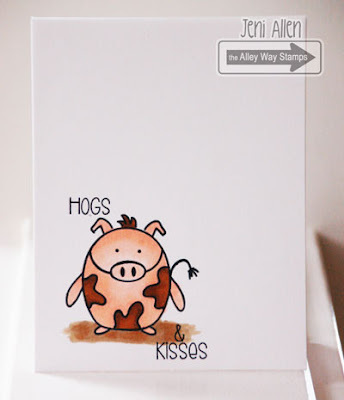 Jeni here with a few "hogs and kisses!!" Oh my word....seriously. I LOVE this release!! Have you ordered your Penguins on Parade yet!!?? I pulled the sentiment from Oinkers... I figured the muddy pig....had to do it!!! It's Wednesday, yay!!!! Lisa here with you sharing another adorable card using this month's Penguins on Parade Stamp Set. This set has totally won my heart and I can't get enough of it! After dressing my little guy up as a bee I added the perfect sentiment next to a masked and distressed heart... hope it brings you a smile! Hi !!! Archana here with a bright and bold card. 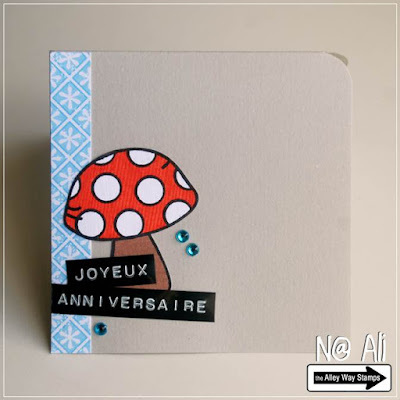 I have made this card using the freebie stamp set of this month with any 40 dollor purchase. This set is called Unique Peek. Its simply beautiful. 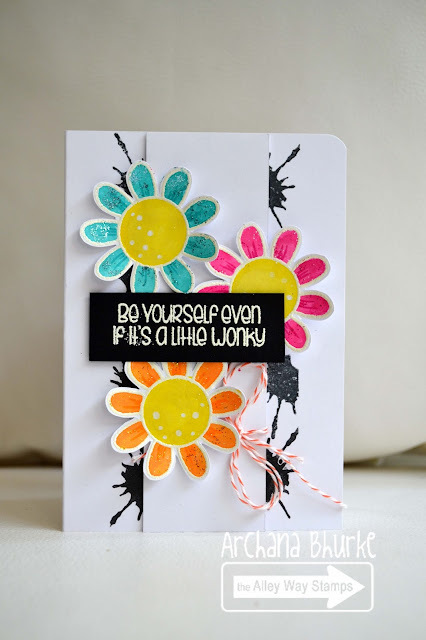 I have stamped and heat embossed the flowers and then colored them using distress inks. 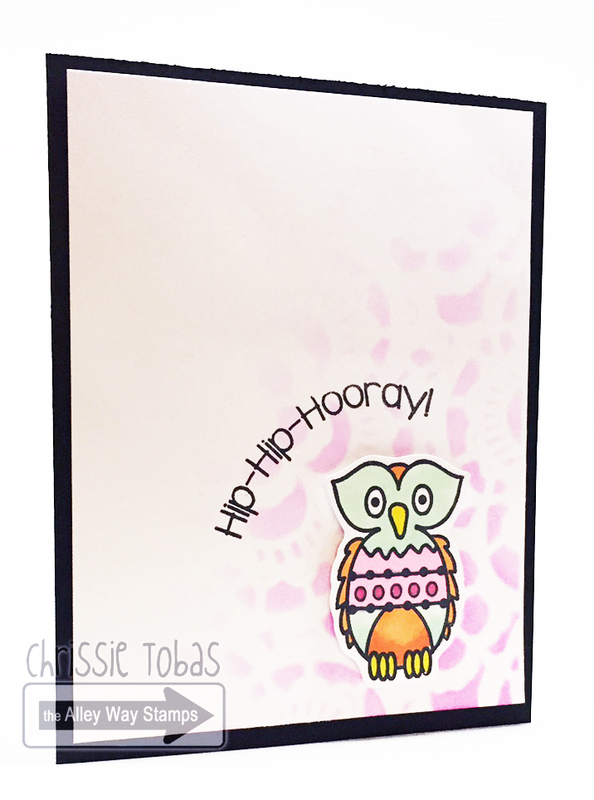 For the background I have used Oh Splat stamp set. Hi everyone.. 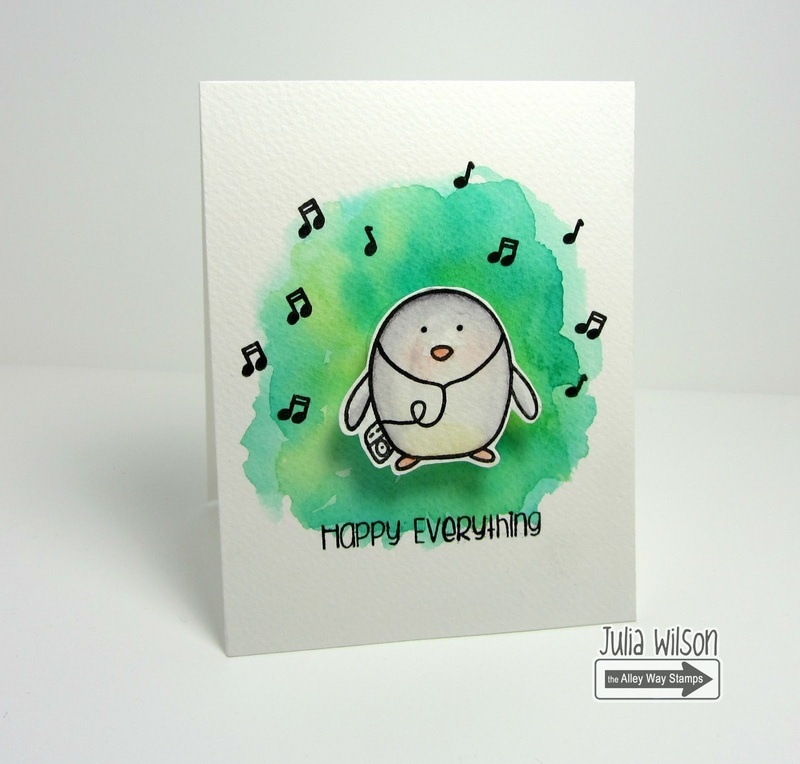 It's Holly here with a fun Christmas card using the new sets Penguins on Parade and Everyday's a Holiday. I created the Ho Ho Ho with the Gabfest Alpha set. For some added fun I added White Fun Flock to the beard and Santa hat and a little red glitter. The penguins are watercolored with Stabilo pens. Hi there! It's Yuki here sharing this super cute "get whale" card featuring the adorable whale from the "Sea Mates" set. I started off with a piece of A2-sized white cardstock. I drew a light line with a pencil to help me line up the letter dies for the sentiment. To easily align the letters, I lined them up face down onto the grid lines of my cutting mat. Once I had the letters straight and spaced correctly, I used a strip of painters tape to pick them all up and then taped the letters directly onto the white piece of cardstock slightly below the pencil line. 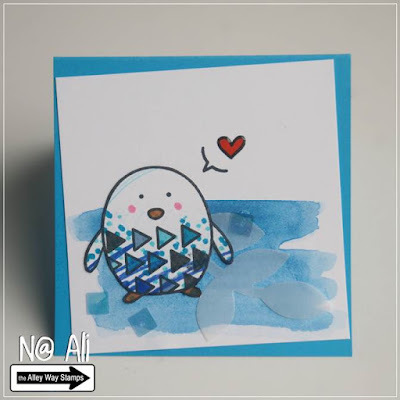 I used the pencil line as my guide for the top cutting plate and partially die cut the sentiment.To make the sentiment pop from the background, I used a dark blue piece of cardstock to create the ocean. 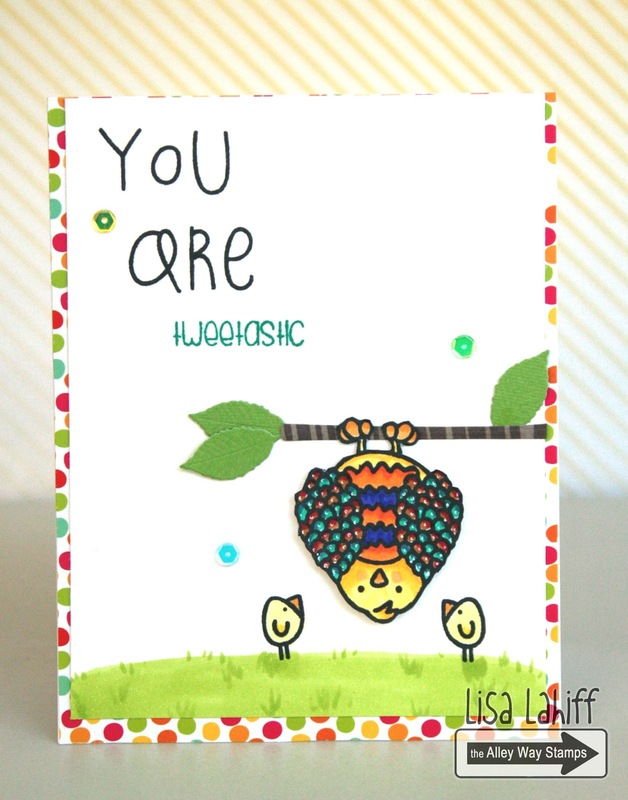 I also added a layer of puffy clouds at the top of the card. To give the background some added texture and interest, I used a dotted lace embossing folder. I colored the whale with Copic Markers and fussy-cut him out. To finish the card I added some matching sequins. I just love how cute and uplifting this card turned out and hope it would make the recipient feel better. I hope you were inspired by today's card and be sure to swing by my blog for a full list of supplies. Thanks again for stopping by! 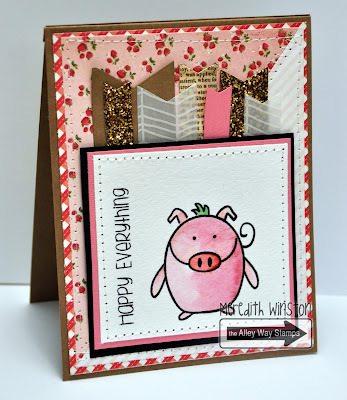 Hi everyone, Tanja here again with a flashback card! I decided to create a card with the Out of this World stamp set. Love those sentiments. Hey everyone, it's Michelle here. You guys might know this already since I did a whole series on it, but I love stencils. 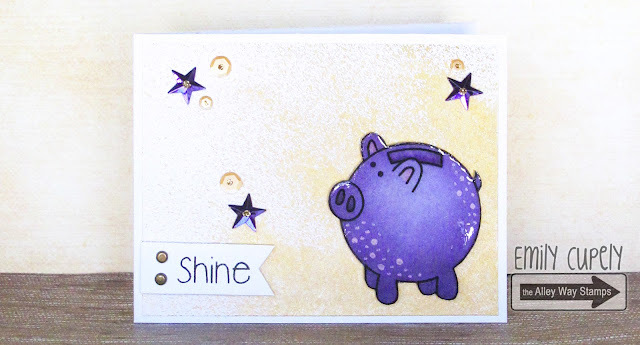 They are a great way to add interest to a background, or to created your own "patterned paper," but you can also get some cool effects when combined with stamping - which is what I'm going to show you today! To start off with this technique, you'll want a very basic stencil I used a star, but think along the lines of circles, squares, hearts... one solid shape! Oh, and you'll want the "positive" part of the stencil, meaning it is the actual shape rather than the shape cut out of something. 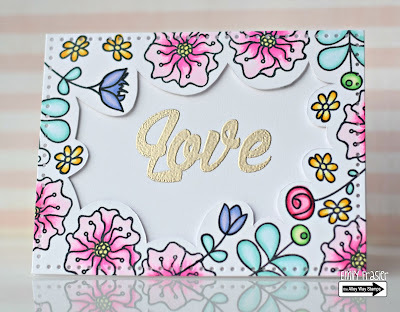 This is easy enough to get ahold of if you make your own stencils out of clear plastic like I do (check out a tutorial for how to do that with a Silhouette Cameo here). Hi. 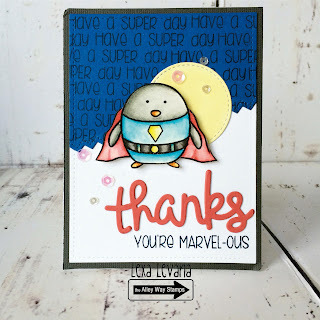 Lexa here today sharing this superhero thanks card using Happy Hero and Penguins on Parade. The moon on his back is sort of complete his performance. I hope you enjoy today's card. Hello! 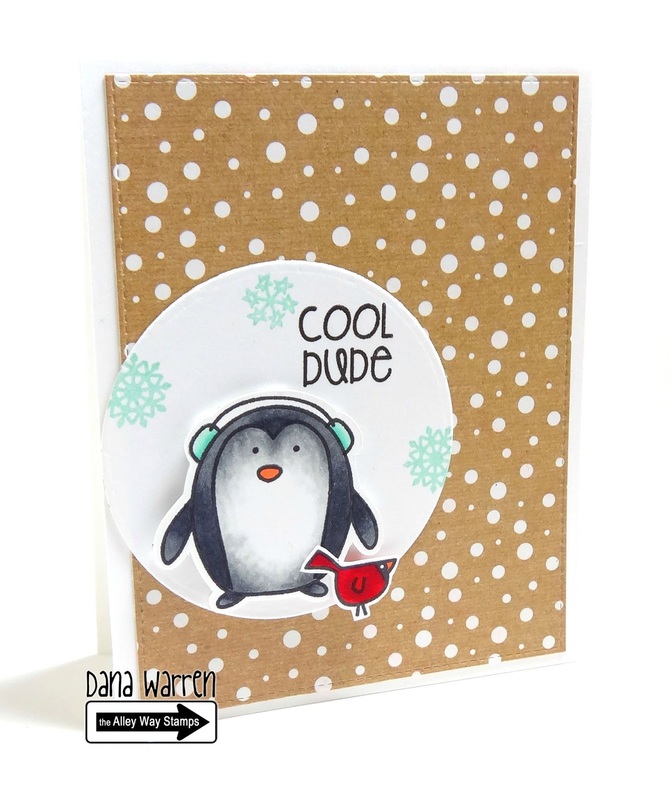 Dana here with a card featuring Penguins on Parade! I gave him some ear muffs and then gave him a friend from the Chill Out stamp set! Hi all! Angel here with a card using the FREE when you spend $40 set called Unique Peek. I totally love this flower, can you tell?? Hello, Emily here sharing a flashback card. On this card, I used several older sets: Seeing Spots, Mrs. Rogers Neighborhood, and Making Holidays Bright. Hi everyone, Tanja here! Hope everything is fine!? For my card today I used Penguins on Parade and Everyday's A Holiday.Hugs! Hi Everyone! 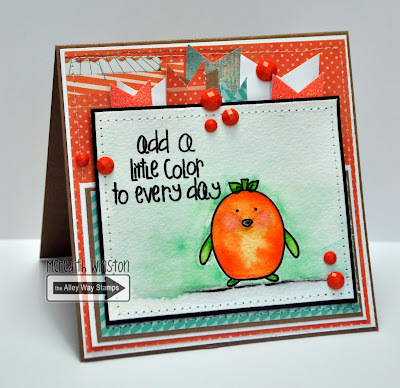 Meredith here bringing you a bright and happy creation today using Penguins on Parade, Everyday's A Holiday and True Colors. 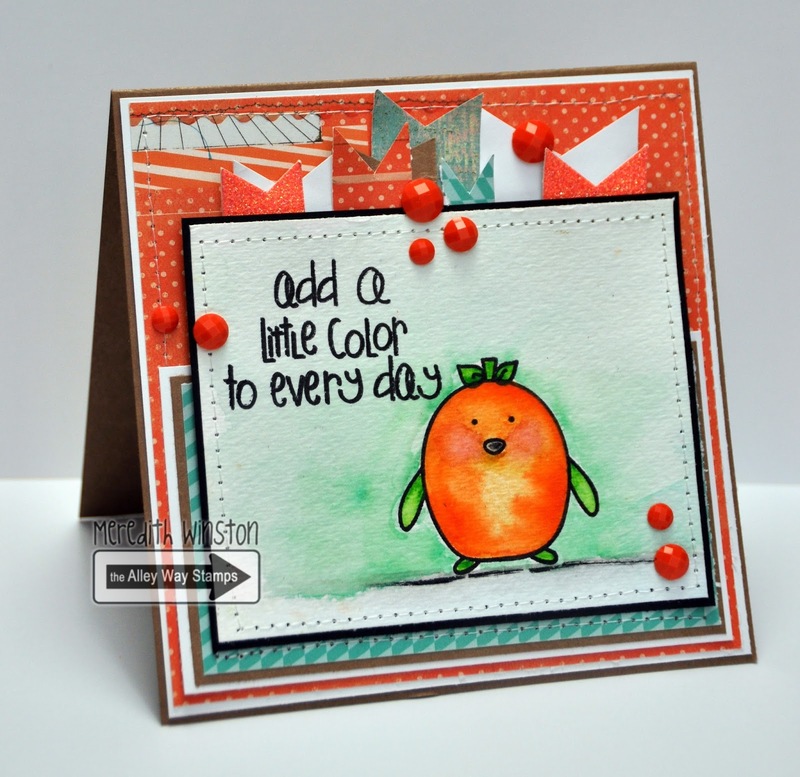 I have watercolored my adorable pumpkin penguin using my Kurtake watercolors. I added my sentiment to the main panel using Hero Arts black dye ink. I stitched all of my layers. I have a total 'thing' for banners these days and I love how they add awesome texture and color and they're super easy to make! I have dies that cut them but often I'll find that I simply hand cut them as it's faster. 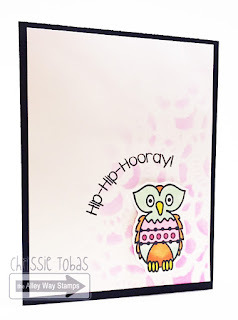 I used a variety of papers from a Studio Calico kit and Basic Grey for these banners. I added some of these super cute faceted gems for another layer of texture and color! Hi it's Therese and today I have a bit of fun with the Gill-Friend set. So it's time for a very CAS 'fishy' wedding card! Hi TAWS fans! It's Julia W and I'm back with another video to share with you. Today I'll be creating a fun dancing penguin card using the Penguins on Parade and Trees Company stamp sets, while I share some of my favorite tips for watercoloring for cardmakers. You can watch the video below, or on the TAWS YouTube channel. Hey there friends!! Jeni here. 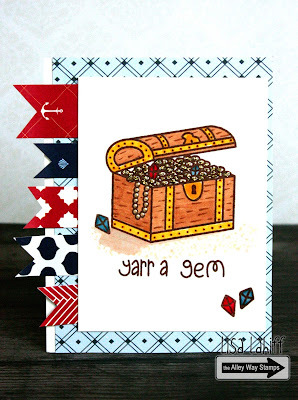 I've got a little masculine card to share today!! I sometimes struggle with making cards to send to the menfolk in my life!! I thought this little handsome guy fit the bill!! I used the Penguins on Parade set and also the Everyday's A Holiday for this cute little fella!! Lexa here today. I made a cute reindeer who's wearing an ugly sweater, with a red rhinestone as his nose. I used Penguins on Parad and also Everyday's A Holiday to create this deerly guy. Hey everyone.. It's Holly here and I have a fun Christmas card for you today using Penguins on Parade and Everyday's a Holiday. 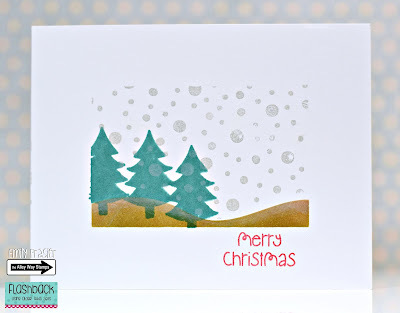 I created a fun Faux snow globe look with some watercolor pencils a little freehand drawing and some stickles. Then I created a sweater using the paper piecing technique. Hi Friends!! 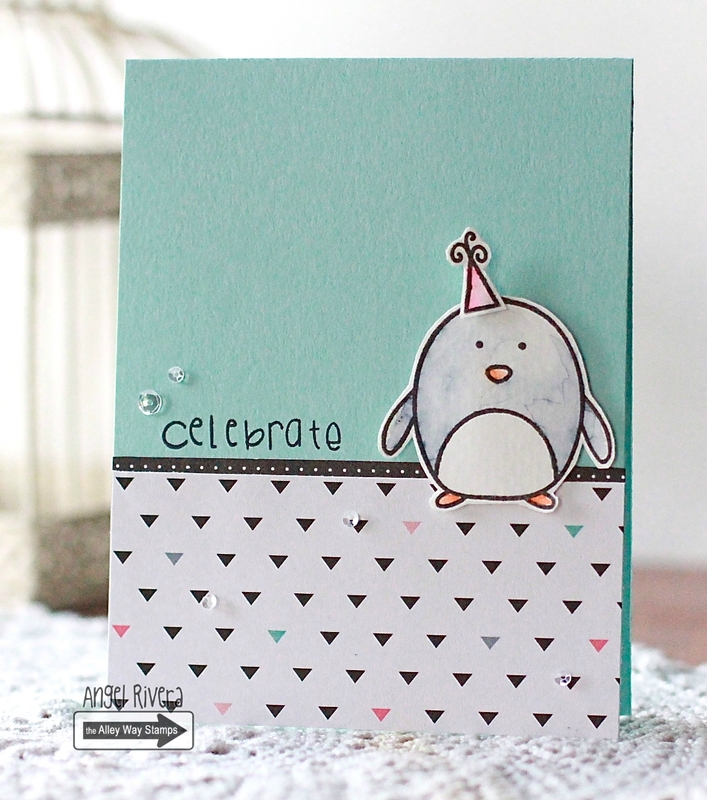 Meredith here with a card that I made using the newly released Penguins On Parade set. I'm having SO much fun with this set! I've created many adorable little penguins all dressed up! Today my card features the "pig" outfit. I watercolored my image using my Kuratke watercolors and I added my sentiment oriented vertically on my main panel. I liked it better this way knowing I was going to have the gathering of banners also placed vertically in the background behind my main panel. I stitched my far most background which grounds it a bit for me visually and adds some extra texture. I also stitched the main panel as well. Howdy, crafters! Julia A. here. 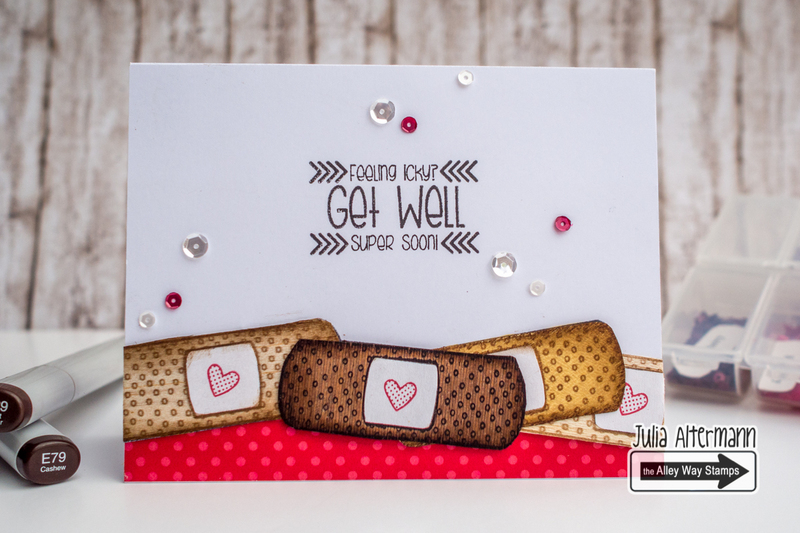 Today I want to show you how you can add texture to your cards by using a fantastic material – wood veneer. It has great color and feels great to the touch and whoever receives your card will be fascinated by it. Check out the video below to see how I created the card. 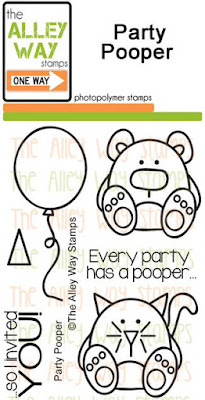 I used the "Gotta Bug" stamp set for my card, and for the sentiment I used "Say It Don't Spray It". Please take note: Alison is in the hospital right now. She's fine, but is unable to ship anything until she gets home. We will keep everyone appraised of her situation! Hey there!! Jeni here. Can you die over this little cow!? I just can't help but smile!!! This Penguins on Parade set is really full of great images!! This little cow just melts my heart!! Hi it's N@ Ali. This cute mushroom is from Veggin' Out. I also used the circle from the same set for the white spots. Hello, Dana here!! I made an Christmas card today, using the new Penguins on Parade and Everyday's a Holiday. I paired my little penguin elf with an older set, Toyland! Hi all! Angel here with a card using the Penguins on Parade set. I decided to make my penguin a baby chick and watercolored the background. Hi everyone, Tanja here with a christmas card. 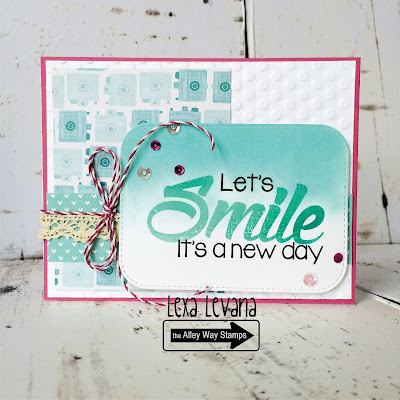 This month's released stamps are so very versatile - I love it!!! 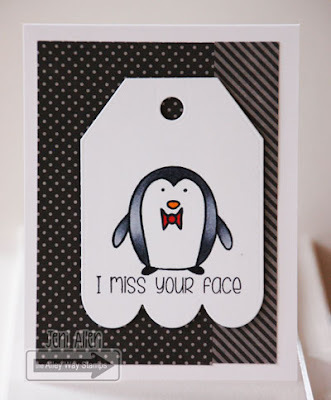 For this card I used Penguins On Parade, Everyday's A Holiday and Spell-check. Santas hat is from NO Peeking. Hi! Joanna here and today I made a card and a video using the cute crayon from Lerning Curve and a sentiment from More Than words. 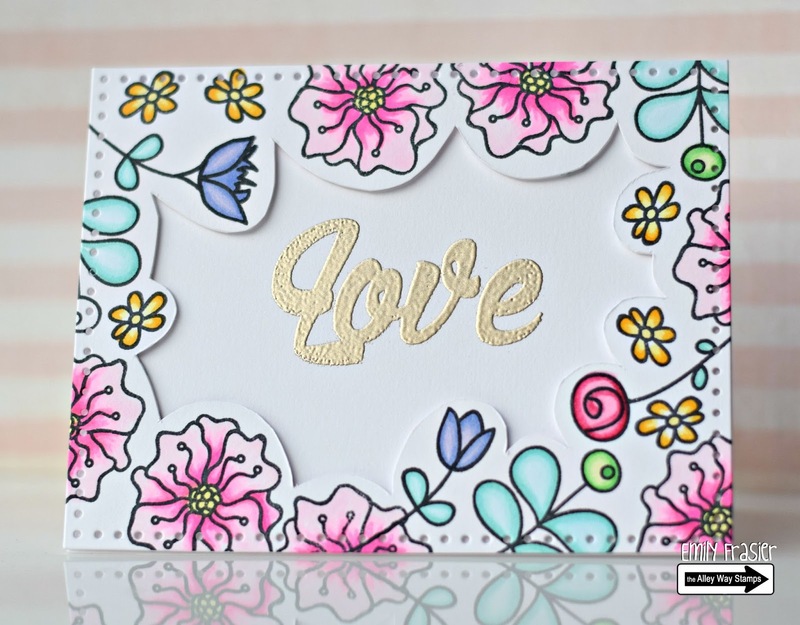 Take a look at the video if you would like to know how this card came together.